Are Speed Camera Detectors Legal? YES. 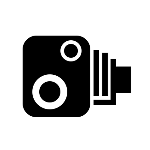 Speed camera detectors are fully legal in the UK and in fact, all our units use data which is publicly available. The radar and laser detection options are also legal as they simply alert the user to a signal and do not interfere nor jam the signal in any way. Some EU countries do however have restrictions on the use of these units which you will need to check before you travel if you’re looking at using it abroad. Will the Speed Camera Detector detect those 'Mobile Police Vans and Handheld Laser Guns? YES – BUT. Laser travels at the speed of light, therefore, although some of these units can detect laser, it also means an alert might mean you have already been targeted. We combine the laser detection with our substantial GPS database to try and give our users as much chance of being warned to these traps as possible. There’s a lot of variables when it comes to mobile speed cameras, so we’ve tried to explain this in full over in our information section. How much do I have to pay for the database updates? NOTHING – we pride ourselves on providing FREE LIFETIME DATABASE UPDATES for our speed camera units. All you have to do is simply download our update software for your PC, plug in your unit and download the correct database. We recommend you update your unit once a month to ensure you have the latest speed camera database. I have a heated windscreen, will these units still work? YES – our units need a GPS signal to work, but heated windscreens will not cause any problems. We have found some customers experience difficulties gaining GPS signal if their vehicles have an ‘Athermic’ windscreen fitted, but this is very rare. I drove past a mobile speed van and didn't get alerted - why not? Mobile speed vans are extremely difficult to detect because of the nature of the laser guns they use. A laser detector can only detect laser if it is actually being emitted from the gun at the time. The police will only target a vehicle if they suspect it is travelling considerably over the speed limit. This means that the laser signal is not always on, and therefore the speed camera unit has nothing to detect. There is more information about how mobile vans operate and laser detectors work in our information section. As added protection against this, we try and keep our GPS database updated with all the known “Hotspots” for these units. If you feel that a particular location is missing from you unit, please let us know using the ‘Report A Camera’ form and we can get this added to the next database update. The van may also be an Automatic Number Plate Recognition (ANPR) unit rather than a speed van. So although they may look similar, these vans are used to catch untaxed, uninsured or vehicles which may have been involved in crimes.